Equipment around a nuclear reactor in Maryland was damaged by wind and others were taken offline as a precaution after Hurricane Irene blew through the East Coast on Sunday. According to the Guardian, Constellation Energy’s Calvert Cliffs nuclear power plant in Lusby, Maryland went into automatic shutdown on Sunday when a piece of aluminum siding was ripped off a nearby building and damaged a transformer. The damage was declared an “unusual event,” the lowest of the Nuclear Regulatory Commission’s emergency classifications. A second reactor at the plant was still operating and no power outages were expected. 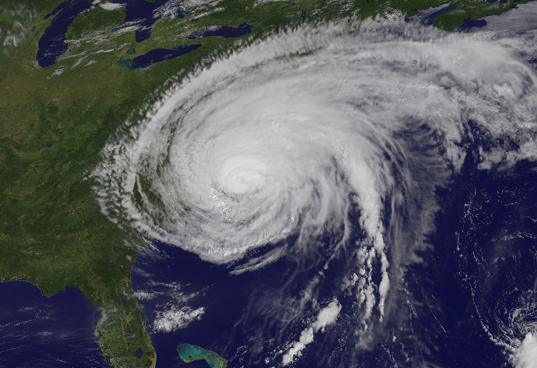 As Hurricane Irene raged up the East Coast on Saturday and Sunday, a total of 14 nuclear power plants stood in its path. 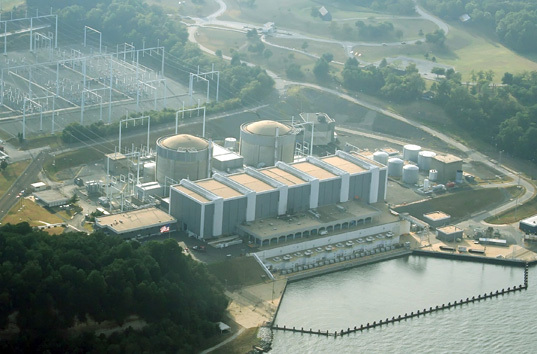 In New Jersey, a reactor at Exelon’s Oyster Creek Generating Station was taken offline before the storm hit, as a precaution. In addition to the reactor shutdowns in Maryland and New Jersey, several other plants were also operating at reduced power as a precautionary measure, but no other damage has been reported. According to a spokesman for the Nuclear Regulatory Commission, safety inspections could keep the Calvert Cliffs plant offline for a few more days. It was the failure of electric power to the reactors in Fukushima that contributed to the explosions when those reactors overheated. The failure of electric power to a nuclear reactor is nothing call ridiculous. A fender bender will damage the automobiles and may injure the occupants of the cars but exploded nuclear reactors release isotopes that will be deadly for thousands of years. I agree with 'Be Honest' the recent catastrophe in japan has brought about quite a few over dramatized stories of nuclear plant damages/issues. It's like saying that the neighborhood transformer blowing blacked out the whole east coast. This story is really a non-issue compared to all the other damages caused buy this storm. it is ridiculous to say that "a nuclear reactor" was damaged. a piece of the lightweight metal sheet cladding was torn from a building and a transformer was damaged by the flying debris. the nuclear reactor is inside a containment vessel with 2 metre thick concrete walls and could not conceivably be damaged by cladding from the outer building envelope. you could dent a car door in a car park then claim to the insurance company that the engine was damaged, but it would be a fraudulent claim. Equipment around a nuclear reactor in Maryland was damaged by wind and others were taken offline as a precaution after Hurricane Irene blew through the East Coast on Sunday. According to the Guardian, Constellation Energy’s Calvert Cliffs nuclear power plant in Lusby, Maryland went into automatic shutdown on Sunday when a piece of aluminum siding was ripped off a nearby building and damaged a transformer. The damage was declared an "unusual event," the lowest of the Nuclear Regulatory Commission's emergency classifications. A second reactor at the plant was still operating and no power outages were expected.